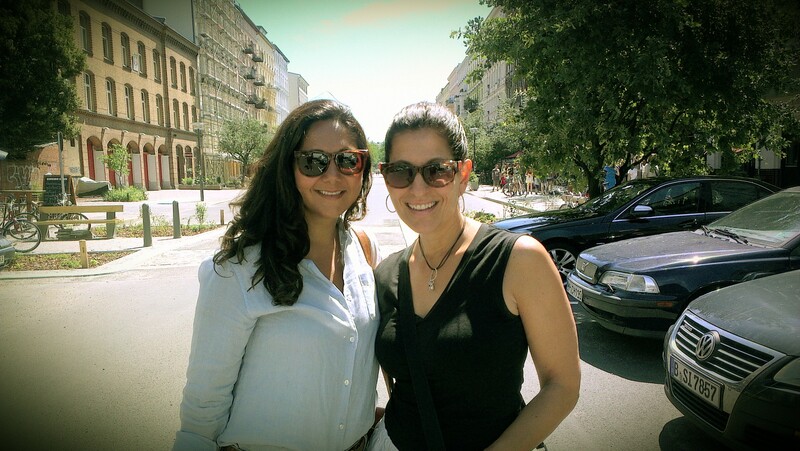 Although I wanted to start German classes as soon as we moved to Berlin, we first had the daunting task of finding an apartment – finding an apartment in Berlin is TOUGH – see related post. After that was taken care of, I was finally able to register for my German classes that I wanted so desperately. It was so frustrating to be out in a restaurant, bar, party, whatever, and have everyone around you speak in German. Yes, everyone CAN speak English but when they are all together speaking German, it’s hard for them to switch over to English just for the one, lone non-German speaker. I understand that. Plus without the language, even a basic grasp of it, I can’t really apply for jobs here in Berlin…or at least the kind of jobs I would like to be doing. So, in the beginning of June, I started my intense German classes at Berlitz subsidized by the lovely German government as an “Integration Course”. I initially thought that anything government subsidized would probably be pretty ghetto and lacking in quality. I have to say I am really surprised in this aspect. The classes are very intense and force each student to speak as much as possible. The teachers have been pretty amazing and the class size is great- 12 other people from all over the world (Cameroon, Russia, Bulgaria, France, Sweden, Greece, Chile, etc.) and of all ages and backgrounds and all in Germany for different reasons. Plus, the classes are super affordable. I go every day (Mon-Fri) from 830am to 1230pm and pay a total of 100 Euros per month. Although my classes have been going well, I realized that I still didn’t have much of an opportunity to speak German. Basically the only place I could practice was when I was in a cafe or in restaurants for dinner. I pretty much have these scenarios covered – but if you take me out of those two situations, I’m a little bit lost. I tried going to the mall and talking to the salespeople while buying other things just to get practice in different scenarios – bookstore, makeup, clothes, etc. but I realized I wasn’t going to be able to afford learning German that way. Plus, every time people could sense my German was faltering, they would automatically switch to English although I would continue trying to speak in German. I don’t really have any German friends as my German is still too basic to actually make friends with people. And although my husband is German and helps me when I have questions, I don’t want to depend on his for my conversation skills – he’s not my teacher and our relationship has always been in English. I was left with the dilemma – how was I going to find people to just talk to me in German? http://berlin.en.craigslist.de/ –> Post in the “Community” section and be clear about what you are looking for and what you can offer (writing, reading, conversation, levels, patience level, etc.). http://www.erstenachhilfe.de –> This is a great site for finding tandems. http://www.scrabbin.com/ –> Another site for finding tandem partners but I find it has more inactive users than some of the other sites. It is really important to outline at the beginning what you are looking for in the Tandem – whether you want to be corrected as you speak or whether you just want to try speaking, whether you want to speak about particular topics (work, school, restaurant, politics, supermarket, etc. ), whether you want the person to “teach” you, etc. My key rule is that during my 1/2 hour of German, the entire conversation must be in German, even if the person is trying to explain a word to me – it has to be done in German. I did have one meeting where we spent the first 45 mins speaking English and then when we switched to our 45 mins in German, the guy kept mixing in English and wouldn’t stop until I reminded him it was “German time”. I asked him a few times “Auf Deutsch bitte” but he kept doing it…as if he just kept on wanting to speak English and practicing. I won’t be meeting with him again. I’d rather invest the time in finding a better Tandem partner rather that teaching this guy simple manners. I’m now trying to find enough tandem partners to fill my week with a few conversation classes. I currently have about 3 scheduled per week – different people, different accents and different ages so I get a mix of how the language is spoken. German is a really hard language to grasp – but I hope these Tandems will help me get the hang of it much quicker than just going to class. I’ll keep you posted! So have the tandems been working out since? I went to a language school for a week, about the same class size as you mentioned and I found it very frustrating that articles and other concepts were all explained in German and I couldn’t get much out of the class; wouldn’t say it was a waste. I have the material from the school so I do some independent study along with study guides online..its not terrible but this process is really hard.. The tandems are brilliant – I’m looking forward to reporting back on their success in a month. Due to summer vacations, etc. I haven’t been able to schedule them as regularly, but in September I hope to have one Tandem each day plus my regular classes..I think that should speed up how fast I learn the language quite a bit! Also, I have to say the Berlitz school is really good – the teachers all explain the concepts in German but in a really simple way with a lot of images and actions so you really get it easily.